As we continue our exploration of social media, community management and Google Plus Hangouts, here’s some great news about a fun live event happening Monday January 28. I’ll be teaming up with my fellow community managers and joining the festivities to celebrate Community Manager Appreciation Day. It should be a fun day as My Community Manager hosts a 12-hour Google Plus hangout full of great topics and discussions that focus on the elements of community management. I’ll be participating in the 1-2p CST slot with my friends from the Community RoundTable as we talk about how community management is driving social business and I’ll be answering questions about my experiences leading employee communities at Walgreens. You can watch here on Google+. 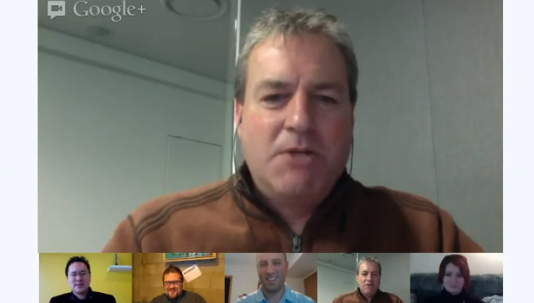 And you can tweet along on Twitter using the #CMAD and #cmgrhangout hashtags. And here’s a cool preview video about the event. See you on Monday and be sure to give a big hug and shout out to all the community managers you know!